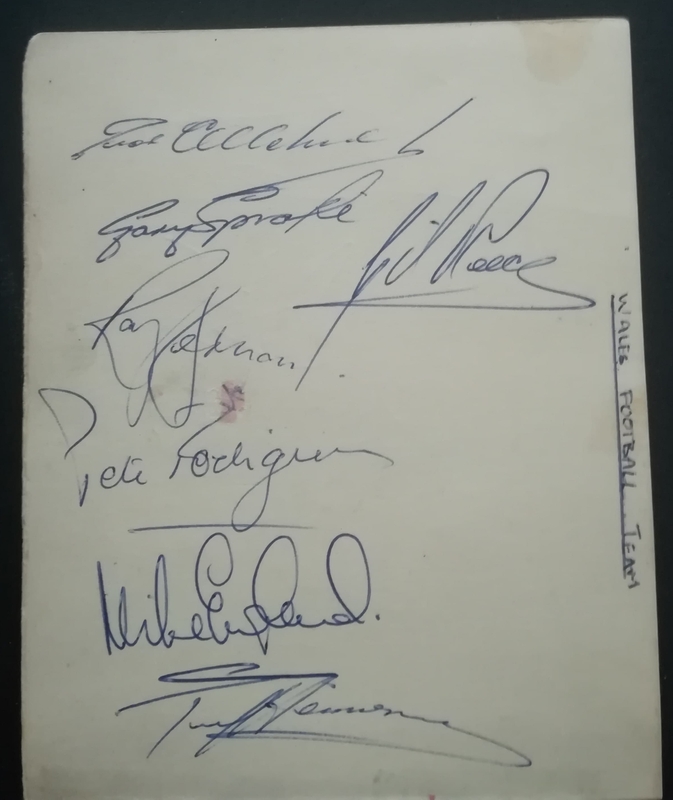 These two autograph book pages have been signed by the full Wales squad who faced England on 2nd October 1965. The British Home Championship match at Ninian Park ended in a 0 – 0 draw, no one being able to break the deadlock between Bowen’s Wales from Ramsey’s England. 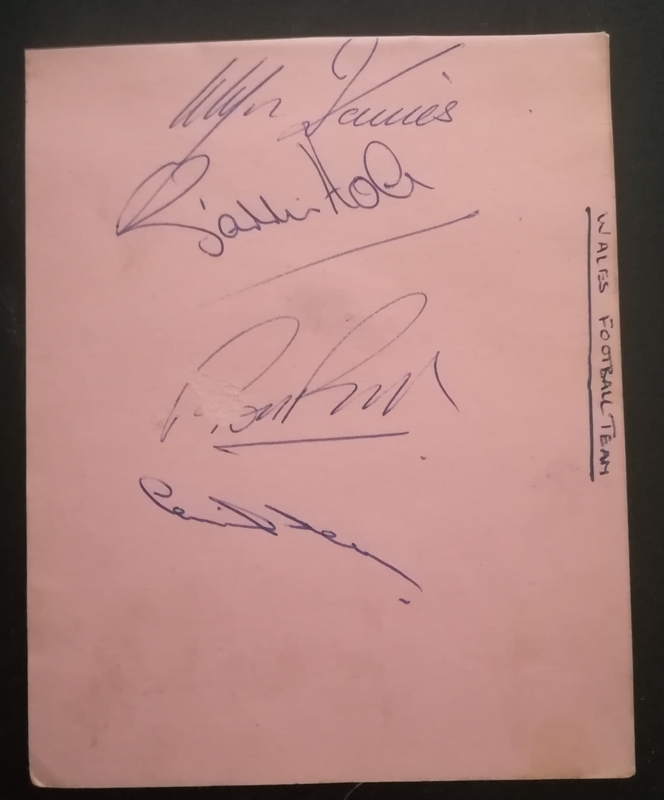 On the rear of the slips, we have autographs from Leyton Orient and Reading FC.